Its been about 2 weeks since I did the weekly update post. A lot’s been happening since then. 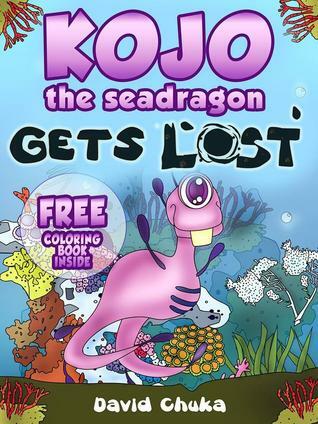 First of all, the giveaway to win a signed copy of Kojo the Sea Dragon Gets Lost’ ends this Friday November 15th. If you’ve not yet downloaded a copy, then this is a fantastic opportunity to get the chance to have the physical copy in your library. If you’ve downloaded the eBook version, then it’d be a great to offer your loved ones the opportunity to read the eBook version or physical book to them. There are currently 285 people who have entered to win and I expect that number to double as we draw towards the end of the week. Click the link below to enter. I was shocked this morning to see in the front page of the Metro Newspaper the devastation that has swept through the Philippines. There are at least 10,000 people who are reported dead and whole villages have been completely decimated by Typhoon Haiyan. What makes this tragedy more personal to me is the fact that my illustrator who has done an amazing job providing the images on 7 of my books comes from the Philippines. I last heard from her about 5 days ago. Please keep Aubrey and her family in your prayers and you can also donate towards the restoration and relief efforts at one of the links below. I had the privilege to do a reading at Devonshire preschool two weeks ago. It was my first opportunity to read Kojo the Sea Dragon Gets Lost to a bunch of energetic and excited 4-5 year olds. It was fun reading to them as I got to involve them in parts of the story, use different funny voices, discover parts of the story that needed a little tweaking and ask questions at the end which produced some very interesting answers. For instance, I asked them why Kojo’s Mom told him not to go to the South side of the Zakari River. One of the children said it was because his Mom didn’t want him to see the baddies! It was a pleasure signing physical copies for the children as the parents took them home. I received an email from Devonshire last week to say they’d like me back in February next year! To the right is an image of my banner in their reception area. I love my job! Last week on Author Interview Thursday, we had H.Y. Hanna who was inspiring, entertaining and informative. There is such a wealth of wisdom and good stuff in her interview that I’ll definitely be going back again and again to read it. Check out H.Y Hanna Interview. On AIT this week, we have Paul R. Hewlett who is an Air Force vet and now children’s book writer. Its going to be good so make it a date to join me as we interview Paul on the hot seat on Author Interview Thursday. It’s Veterans Day today in the U.S. Today, I’d like to honor all the men and women in the United States Armed Forces. Also, if you or a member of your family serves in the Armed Forces in your country, I honor and celebrate you today. Watching Homeland, my favorite series on TV at the moment makes me realize how much we need you. Thank You. That’s all for this week. Thanks for your support and dream BIG!